The House of Representatives of the Philippines (Filipino: Kapulungan ng mga Kinatawan ng Pilipinas; also known in its Spanish name Camara de Representantes de Filipinas) is the lower house of the Congress of the Philippines. The Senate is the upper house. The House is often informally called Congress. Members of the house are called Congressmen (mga kinatawan or mga konggresista) and their title is Representative. Congressmen are elected to a three-year term and can be reelected, but cannot serve more than three consecutive terms. Around eighty percent of congressmen are district representatives, representing a particular geographical area. There are 229 legislative districts in the country, each composed of about 250,000 people. There are also party-list representatives elected through the party-list system who constitute not more than twenty percent of the total number of Representatives. 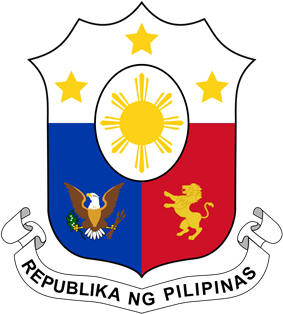 When the Philippines was under American colonial rule, the legislative body was the Philippine Commission which existed from September 1900 to October 1907. The President of the United States appointed the members of the Philippine Commission. The Philippine Bill of 1902 was a basic law for the Insular Government and created a bicameral, or two-chamber, Philippine Legislature with the Philippine Commission as the Upper House and the Philippine Assembly as the Lower House. This bicameral legislature was inaugurated in October 1907. Through the leadership of Speaker Sergio Osmeña and Floor Leader Manuel L. Quezon, the Rules of the 59th United States Congress was substantially adopted as the Rules of the Philippine Legislature. Osmeña and Quezon led the Nacionalista Party, with a platform of independence from the United States, into successive electoral victories against the Progresista Party and later the Democrata Party, which first advocated United States statehood, then opposed immediate independence. In 1916, the Jones Act or the Philippine Autonomy Act changed the legislative system. The Philippine Commission was abolished and a new bicameral Philippine Legislature consisting of a House of Representatives and a Senate was established. The Nacionalistas continued their electoral dominance at this point, although they were split into two factions led by Osmeña and Quezon; the two reconciled in 1924, and controlled the Assembly via a virtual dominant-party system. ^a Based on the 2010 Census figures. Because of not having nationwide reapportioning every after the census since the Constitution was made, many populous provinces and cities are underrepresented. Each legislative district is supposed to have a population of 250,000. With 354 representatives elected from congressional districts, there should be 88 party-list representatives, or a total of 442.